If you’re looking for a car to go fast, then head on over to Island Mazda near Woodbridge, NJ to experience the 2017 Mazda MX-5 Miata. By pushing our cars to the extreme in fast-paced and unforgiving environments, we learn valuable lessons about safety, performance, efficiency, and reliability. And that translates into a better car for you, both on the road and on the track. After all, more Mazdas are road-raced on any given weekend than any other car. Wherever possible, the MX-5 Miata underwent painstaking weight loss. Even the window glass is lighter. 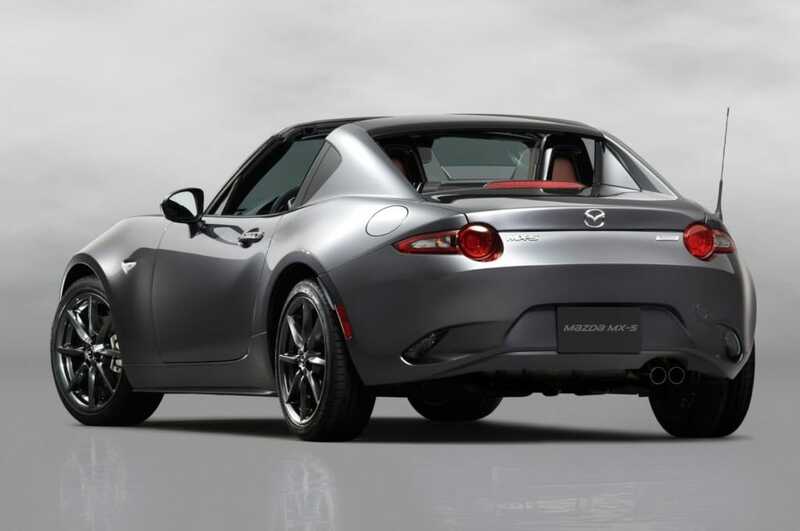 The MX-5 is nearly a half-inch lower in height and has undergone a weight loss of more than 148 pounds from the previous generation, bringing its curb weight down to 2,332 pounds for manual transmission models. You may not see it, but you’ll feel it, as SKYACTIV® TECHNOLOGY contributes to the MX-5’s lightness and responsiveness. In and out of every corner. When Driving Matters, excellent fuel efficiency should never come at the cost of performance. So, of course, our driving-obsessed engineers found a way to enhance both. It’s called SKYACTIV® TECHNOLOGY. Every aspect of the vehicle is engineered to maximize driving dynamics and efficiency: from body construction and engine technology to the chassis and transmission. Offering impressive EPA-estimated MPG ratings. Without compromising performance. SKYACTIV TECHNOLOGY is just one of the ways Mazda makes driving better. The MX-5’s 6-speed manual transmission is smaller and lighter than the previous generation’s but keeps its famed short-throw precision. Or choose the 6-speed automatic transmission with steering wheel-mounted paddle shifters. Highly rigid yet incredibly lightweight, the SKYACTIV®-Chassis resists torsion during aggressive cornering and plays a key role in the MX-5’s celebrated nimbleness and stability. The SKYACTIV® platform, consisting of the body and chassis, is at the center of the Mazda driving experience. The chassis achieves two seemingly contradictory goals at once: nimbleness at low speeds and stability at high speeds. The framework incorporates ultra-high-tensile-strength steel in critical areas to help make it lighter, yet stiffer and stronger. Contact Island Mazda near Woodbridge, NJ to start your 2017 Mazda MX-5 Miata journey.